Tucked in the hills of Dufur, a small town in the Gorge, is Wolf Run Ranch. 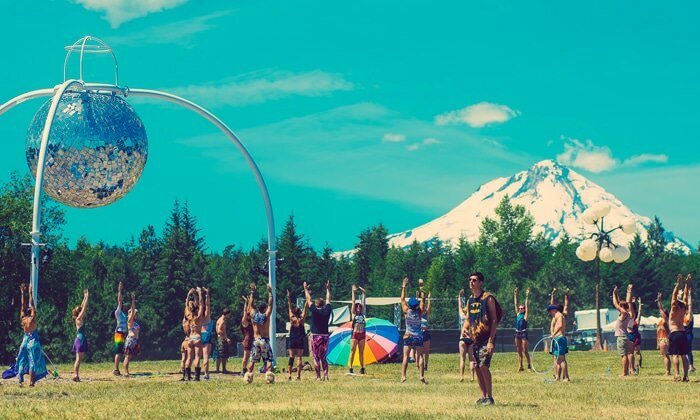 Every summer solstice the ranch bursts with energy as thousands of music lovers flock to What The Festival, a four-day electronic music and arts celebration inspired by Burning Man with an Oregon twist. This beautiful venue features a large field surrounded by forest with a gorgeous view of Mt. Hood as the backdrop. 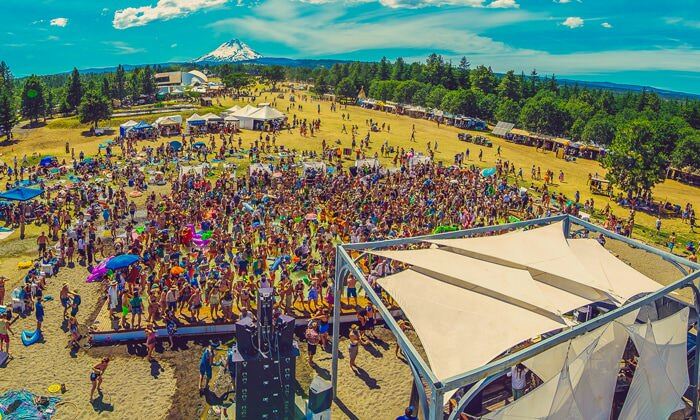 On top of having multiple music stages — including a giant pool party stage — the festival also includes dance and yoga classes, delicious food vendors, a spa and a silent disco with the Pacific Northwest’s largest disco ball. Besides the music, my favorite part of What The Festival is the Illuminated Forest, a wooded area filled with some of the most unique local art. 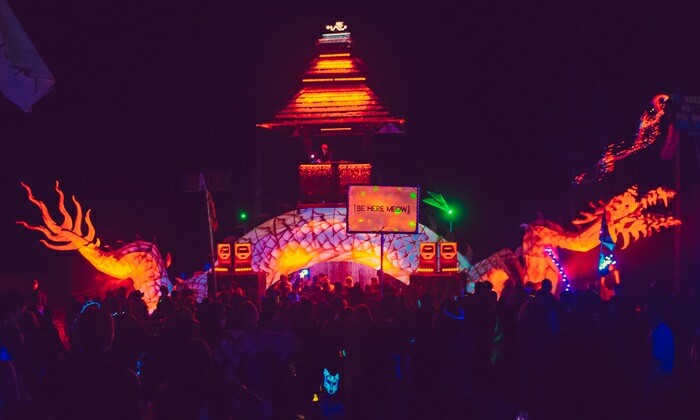 At night the forest lights up with interactive art of all shapes and sizes. What The Festival is focused on building a community in addition to a good time. Even breakfast brings people together. There is a community cooking area where attendees can take turns using the festival’s large grill or set up their personal camping stoves in an enclosed area. This is beneficial not only because there is a high fire risk in the summer, but it also encourages strangers to interact and share space. The festival is also more “green” than most festivals I’ve been to: dozens of volunteers sort through recycling and the whole festival is a pack-in pack-out, leave-no-trace event. Not to mention the people there seem nicer than any other festival I’ve attended, with probably the least amount of music snobs. If all this isn’t appealing enough, What The Festival is also one of the most reasonably priced music festivals. 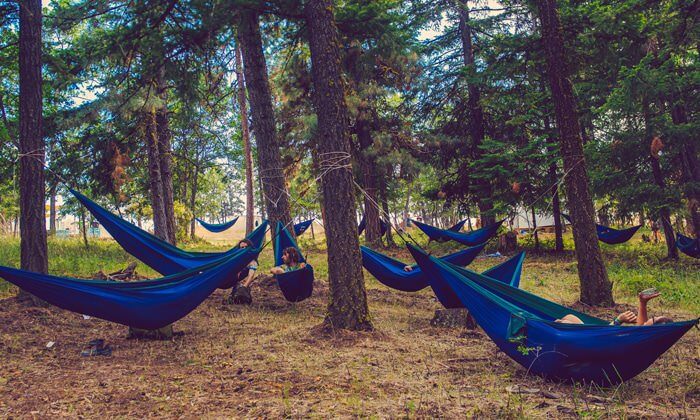 Early bird tickets go for around $200 and include free camping in the forest lining the venue (with a small additional fee for car and RV camping). If the ticket is still too expensive, you can volunteer at What The Festival for a ticket. In exchange you work about 15 hours before, during or after the festival, getting an exclusive peek at the event’s behind-the-scenes efforts. For 2016 What the Festival’s lineup includes legendary electronic artists like Thievery Corporation, Bonobo, Lettuce, Mr. Carmack, Hermitude, Djemba Djemba and Hippie Sabotage. With some of the best vibes, What The Festival is unlike any festival I’ve attended. I highly suggest taking the weekend off to experience this one. 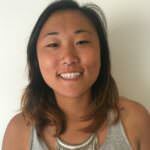 Anna Kerr is a Pacific Northwest native studying photojournalism at Western Washington University. When she isn't in class you can usually find her hiking, skiing, or attending music festivals somewhere in Washington or Oregon.